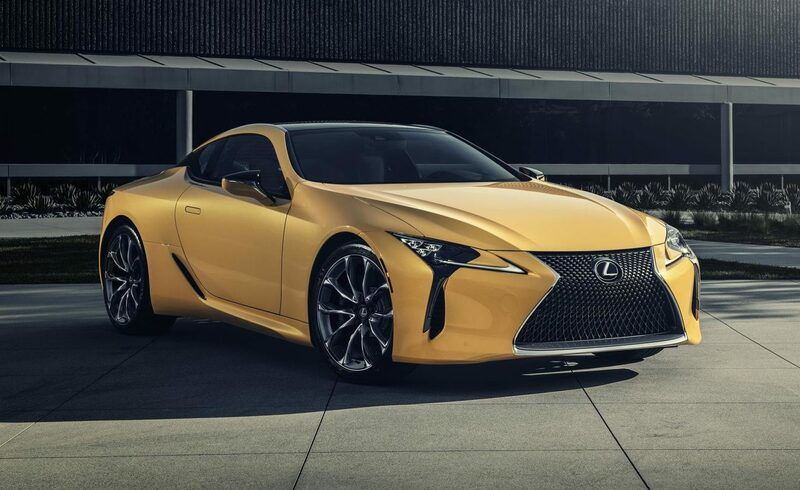 Lexus recently held the first appearance of the 2019 LC 500 Inspiration Edition at the Chicago Motor Show. This third limited-run model in the Inspiration Series has a unique mix of colors and features that complement the coupe’s design. The 2019 LC500 Inspiration Edition coupe is in vibrant Flare Yellow paint that’s eye-catching from a distance. It is also equipped with 21-inch wheels that give the LC a perfect stance, while the carbon fiber roof and the lower grille insert add an amount of contrast to the vehicle. Powering the 2019 LC 500 Inspiration Edition is the same 5.0-liter naturally aspirated V8 engine that is typical in every LC 500 coupe. It produces 471 bhp to the rear wheels through a 10-speed automatic transmission, making it capable to sprint from zero to 100 km/h in just 4.4 seconds. 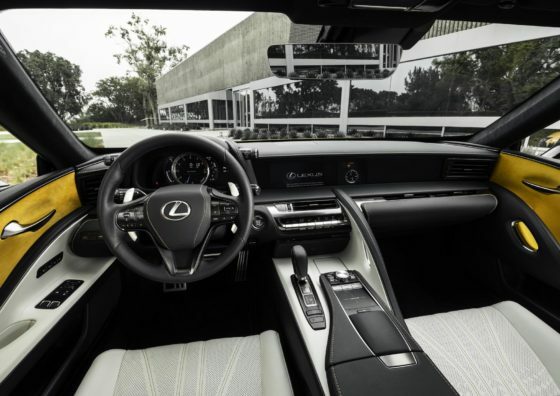 Unique design elements are also found inside the LC 500 Inspiration Edition. The Bespoke Yellow door inserts are made of Alcantara leather, while the standard touring seats feature a semi-inline leather with yellow stitching, and it extends to the instrument panel, console, and glovebox to give the cabin a one-of-a-kind look. 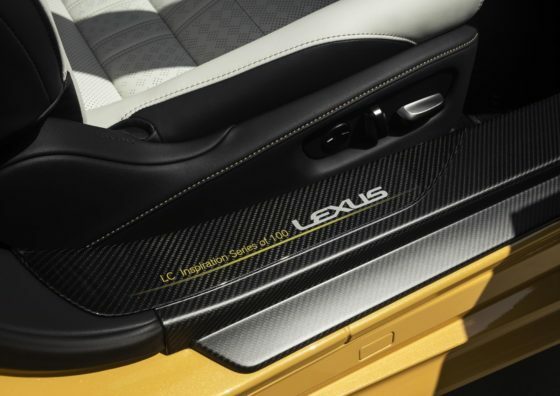 To emphasize the exclusivity of the LC 500 Inspiration Edition, the carbon fiber door sills of each vehicle have an inscription, and each car will come with a matching leather Lexus garment bag that folds into a spacious travel bag.